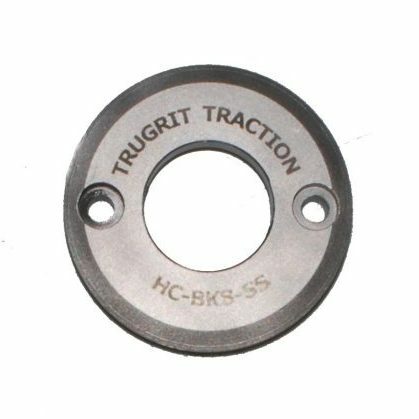 The IBAK Style hub adapter is needed to run the TruGrit® wheels on your T65, T76, T86 and PANO 2 sewer camera transporter in 8″ pipelines. 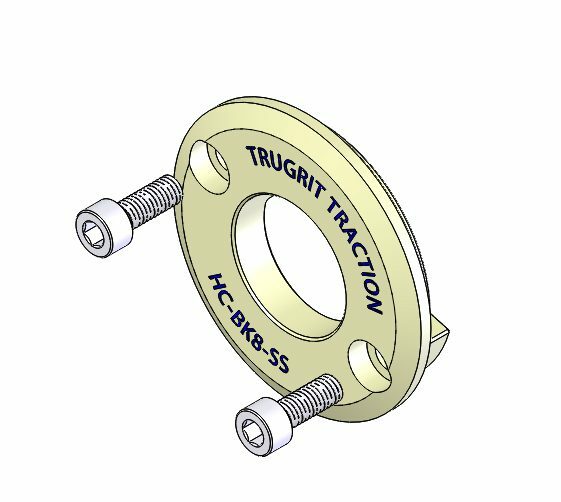 These adapters are solid stainless steel and re-usable so you will only have to purchase them one time, and then all you will need to purchase are replacement TruGrit® wheels at a fraction of the OEM cost. Purchasing Video Pipeline Inspection Equipment is costly enough, you shouldn’t have to go bankrupt maintaining it. 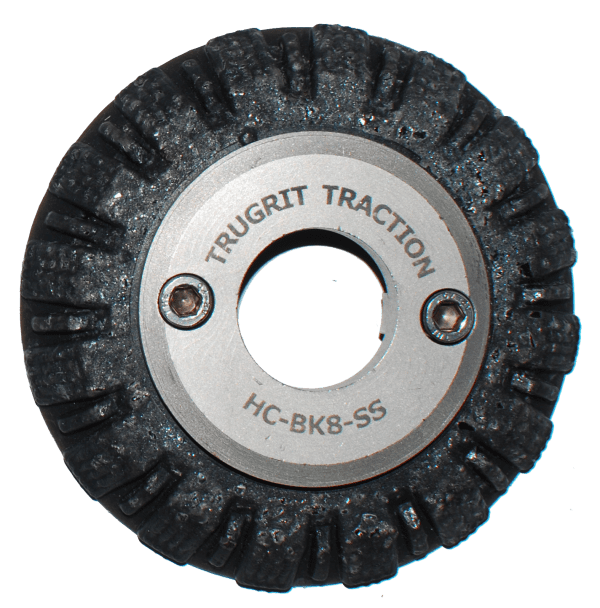 TruGrit Traction is your only source for wholesale quality American-Made parts fitting all of your camera transporters. 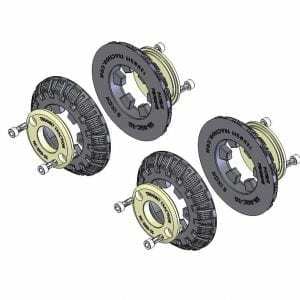 The Hub Adapter | IBAK Style is a hub adapter that works with the TruGrit wheel to fit on your sewer camera transporter. 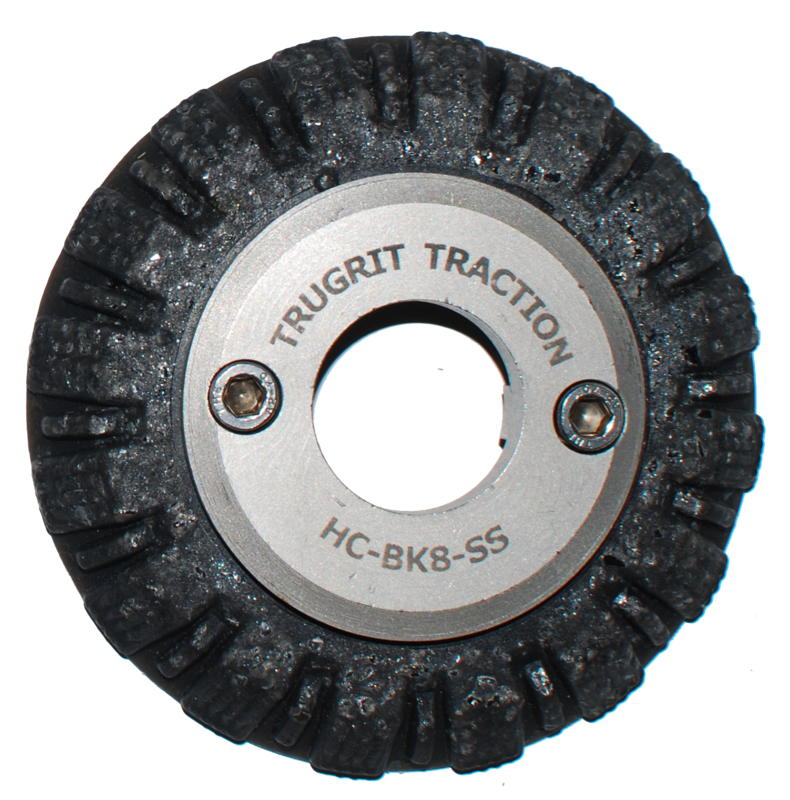 At TruGrit Traction, we specialize in sewer crawler and camera transporter equipment parts. All of the parts we sell at TruGrit are made of durable materials that are built to last. We specialize in sewer transporter equipment parts because pipe inspections are necessary to maintain mainline sewer pipes. Your company relies on sewer camera inspections to provide you with a real-time view of residential, commercial, and industrial pipelines. Sewer camera inspections can reveal a variety of problems within pipe systems such as clogs, cracks, breaks, and blockages. 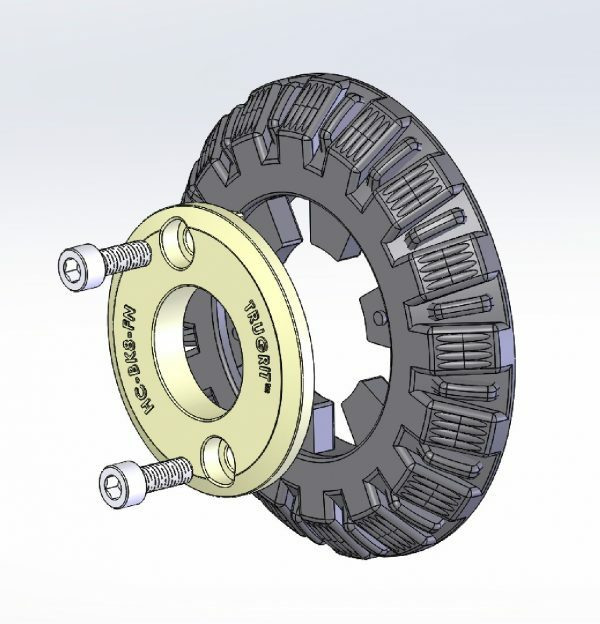 The Hub Adapter | IBAK Style attaches directly to the wheel of your sewer camera transporter. 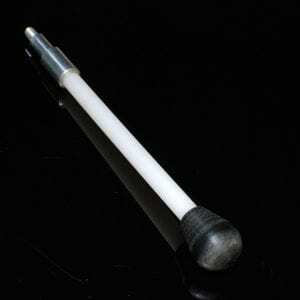 This piece of equipment is a great investment that will aid in your success as a company. 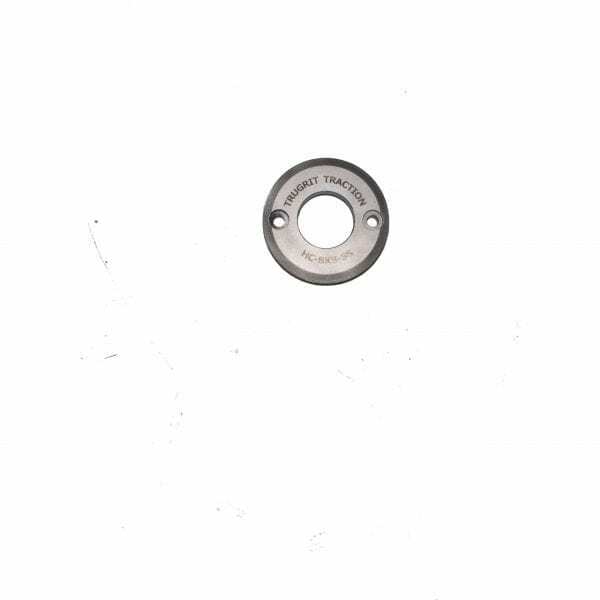 The Hub Adapter | IBAK Style is affordable and long-lasting. This product pertains to: TruGrit Reusable Sewer Crawler Adapters, IBAK Style Camera Transporter Parts, Sewer Camera Transporter Wheel Parts, Sewer Crawler Wheel Replacement Parts, Camera Transporter Replacement Equipment, Pipe Inspection Equipment, Trenchless Pipe Lining Equipment, Pipe Replacement Equipment, Sewer and Drain Inspection Equipment, Residential, Commercial and Municipal Sewer and Drain Parts, Sewer Camera Transporter Chain Replacements, Sewer Camera Transporter Link Equipment, and Sewer Inspection Replacement Parts.